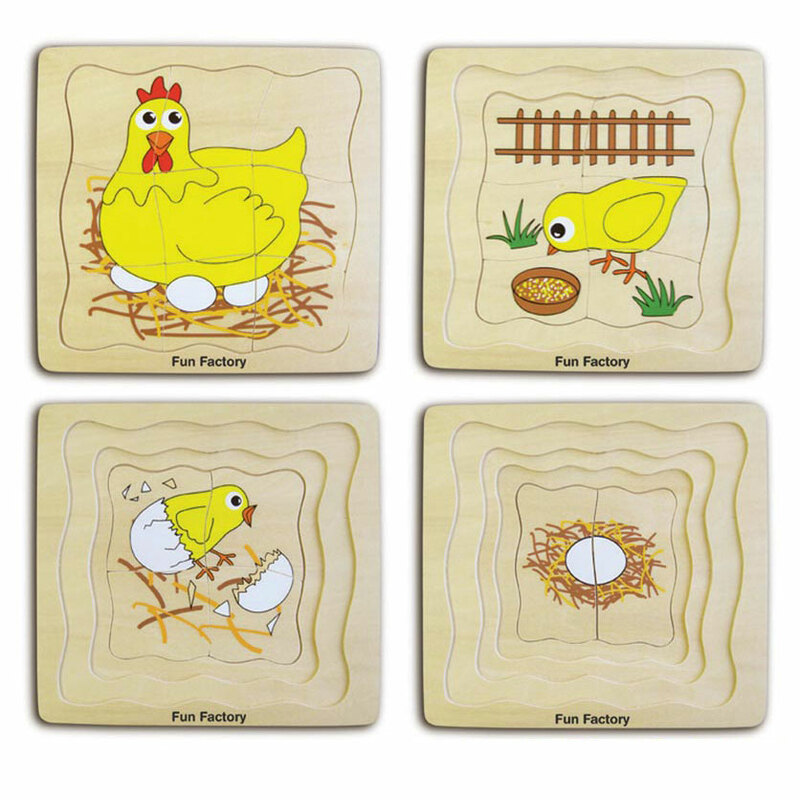 An innovative puzzle built in 4 layers - each layer shows one step in the life cycle of a chicken. Images depict the egg in a nest, the egg hatching into a chicken, the larger chicken and the grown hen sitting on a nest of eggs. With each layer, the puzzle becomes more complex. The first layer showing the egg in the next consists of only two puzzle pieces. The next layer has four pieces, the next, six, and the top and final layer consists of nine puzzle pieces. A delightful, fun way for your child to learn about the cycle of life. Develops fine motor skills, problem solving and introduces the concept of the life cycle.